Technology is mounting with every passing day whether it is the outbreak of latest cell phones or other geek devices. 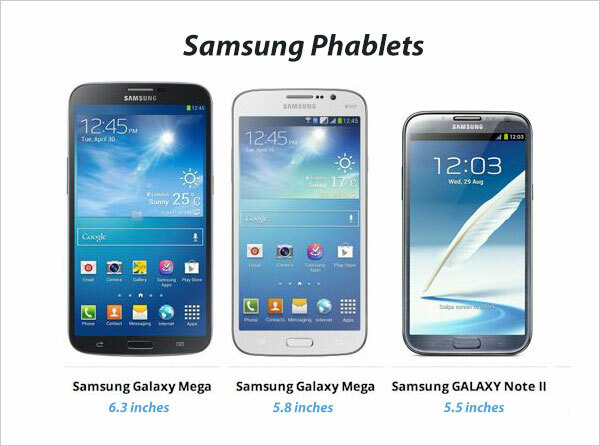 A Phablet was coined to intermingle the functions of smartphone and tablet altogether. Phablets have big large screens that may vary from 5.1 to 6.9 inches. They offer stylus to do “sketching, note-taking and annotation”. Samsung Galaxy Note is a good example of framing into what we call ‘Phablet’ (phone & tablet). 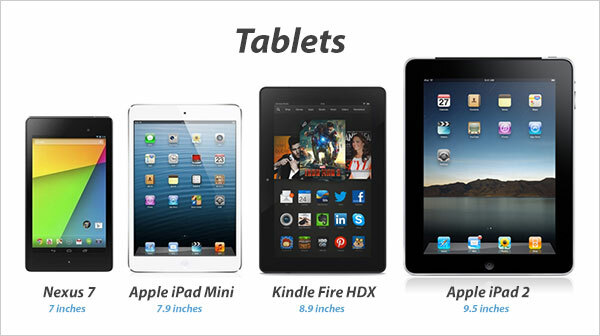 Whereas a tablet is a computer device that a large screen from 7 to 9.5 inches. Phablet is a new device in the market these days and most of the people are actually baffled what is the major difference between a tablet and a phablet. Tablets have large bezel whereas phablets have thin bezels comparatively. 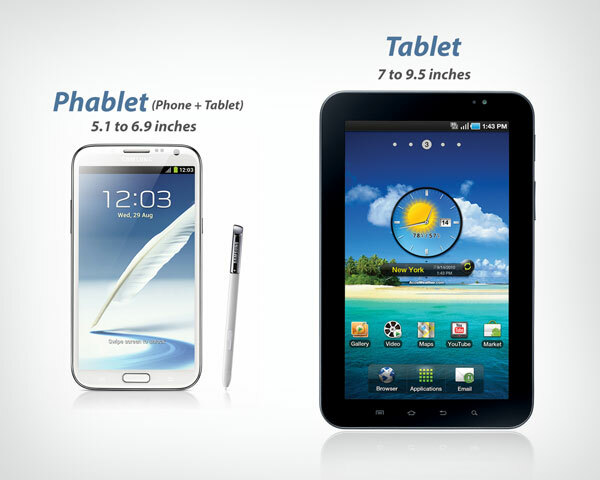 A tablet is heavier than phablet, it is larger and more wide. Samsung Galaxy mega 6.3 is the largest phablet, it is 8mm thick reported, whereas Samsung Galaxy Tab is of 7 inches and 9.9mm thick. Now the difference is much clearer and pretty visible. Tablets have larger displays than phablets, The phablet is all about portability while the tablet is about carrying as much content on the screen as it is possible. The display resolution of a phablet is however higher as most of them come with either 720p or full 1080p HD displays while tablets’ larger screens’ pixel density is much lesser. A phablet is especially designed for users who want a miraculous device that has the features of a tablet and a smartphone all the same. A phablet may be big but it is still easy to keep it to the ears but tablets are just too big to use in making calls. A phablet has a camera just as good as a smartphone’s camera really is. Whereas a phablet can have 8 or 13 megapixels rear camera, a tablet often has no rear camera or can have a camera with less than 5 megapixels sensor. Well that’s another major difference between a tablet and a phablet. Phablet has a better performing processor. It is having more RAM and all the significant features & tools of a smartphone including GPS. Phablets have more functionalities than tablets. Because of large screens, tablets often have higher battery capacity that can provide up to 10 hours usage per charge. Although the phablet batteries are smaller, the smaller screen means that it provides more usage time than a tablet. Phablets can provide us to 15 to 20 hours talk time on 2G per battery charge. I hope the difference between tablets and phablets have become way too clearer for you.